Ganesa drops chopped breaks and bouncing bass badness on the latest edition of our Fresh Kicks mix series. Based out of a "secret creative work spot" by the sea just south of LA (alright for some, eh? ), Ganesa is the founder and driving force behind bass/experimental grime outlet, Jelly Bean Farm. Treading a similar path to labels such as Keysound Recordings and Durkle Disco, JBF boasts core artists — or as Ganesa puts it, "co-pilots" — in Squane and Rees, while other releases have come from talents such as Hypho, Korzi, Opus and Aerotonin. The imprint's next release, Sensei's 'Signal' EP, features a remix from Brighton's Mani Festo (check out his own Fresh Kicks mix here) and drops mid-November. Ganesa's mix was recorded at Dark Alley Studio in LA, but you can catch her in person in the UK and Europe in November too. She'll be playing back-to-back with Squane at Blackdown's album launch/Keysound Sessions party at Haunt in Stoke Newington, London on 10th November. 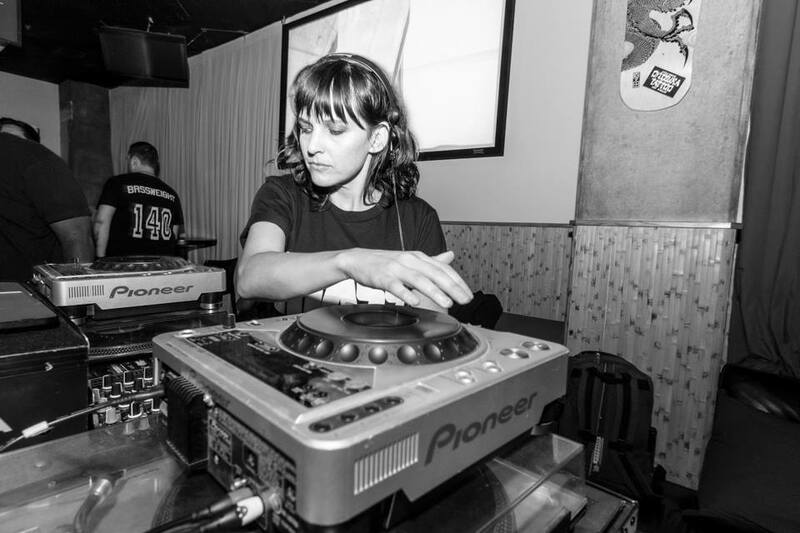 Then it's over to Prague for Saypens at Cross Club on 15th November — "Some impromptu back-to-back [with Squane] might break out after our individual sets," she tells DJ Mag. In the meantime, check out Ganesa's full Fresh Kicks mix at the bottom of the page. "Hodge's Hemlock release and Troy Gunner's 'GUNNER001' — must haves." "Been a while since I've been to an actual club-club, Fabric maybe my last trip out?" "My morning coffee-drug, and a greasy breakfast burrito from the walk-up down the block... eggs, avocado, salsa fresca wrapped in a tortilla with a ton of spicy red salsa on each bite. Yesss." "My OLD trusty Honda Civic that grows one shade lighter each month due to UV rays oxidation." "Actress 'AZD' on Ninja Tune." "Haven't downloaded a mix in a while but Rees got Kowton's 'Lies' mix shipped the other day and we all had a dance in the living-room." "Squane, and he will be the next. We'll be over in the UK/EU all November having fun and repping Jelly Bean Farm." "The new Minor Science (along with everyone else), such a sickening release." "I was in high school at a party, but I was my waking-life age and maturity level trying to wrap my head around all this adolescent nonsense. Upside was that I had a cute date." Want more music from up-and-coming artists? Check out Fresh Kicks 46 with Lehar.